I was recently introduced to a new technology allowing me to create 3D computer generated models from digital photographs. The self portrait I am displaying is a composite of 37 digital photographs. Each photograph is taken from different perspective. 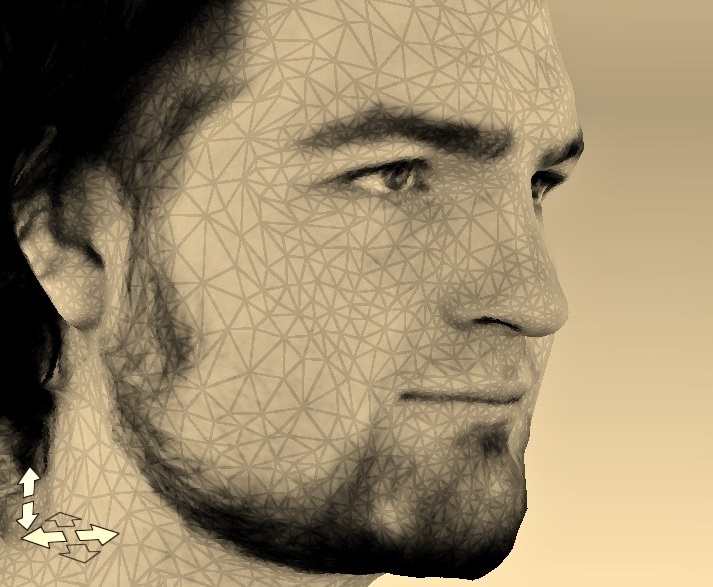 Software is then used to find similar surface textures of my face and chain them together like a 3D panoramic composite. Finding different angles of the same texture allows a 3D wire-frame to be constructed. Because they are created from real hi-resolution photographs the models are incredibly life like and true to the original object. This process can be used on small handheld objects all the way up to large architectural buildings. With my self portrait and future models I will experiment with using color 3D printers, millers, and laser cutters to create real life sculptures.